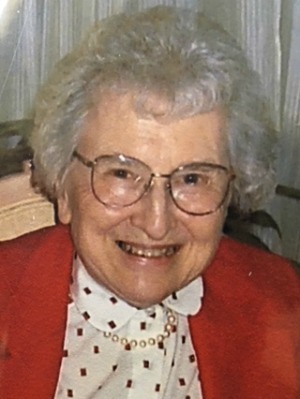 Helen D. Hess, 98, of Willow Street, passed away on September 16, 2018 at Willow Valley Lakeside. She was the daughter of John and Lillian Eby Denlinger. A 1936 graduate of East Lampeter High School, Helen became a bookkeeper at Penn Dairies in Lancaster. Following her marriage to Mark S. Hess in 1943, she embraced her new role as a farmer’s wife for 51 years, until his death in 1995. A dedicated wife, mother, and grandmother, she energetically supported her children’s school activities. After her children were grown, she and Mark were very involved in church youth activities. An excellent cook and baker, Helen enjoyed entertaining family and friends. While living in Hershey, PA in the mid 1960’s, she obtained a real estate license and sold real estate in Hershey and later in Lancaster. In 1983, when Willow Valley Communities was opening, she became a sales counselor there, retiring in 1998. She is survived by her son Karl (Elma) Hess of Scottsburg, VA, daughter Linda (William) Pickwell of Aiken, SC, grandsons Konrad, Jonathan (Monica) and Michael (Deidre), step granddaughter Lynn Pickwell, great-grandchildren Klara and William Hess, and sister Edythe Huber. She is predeceased by her husband, brothers Lester and Mervin Denlinger, and sister Ruth Osborne. Services will be held on Saturday, September 22, 2018 at the Pequea Brethren in Christ Church, 40 Church Rd., Lancaster, PA 17603 at 11:00 AM. Friends may greet the family from 10:00 AM until the time of service. Interment will be private at the convenience of the family. In lieu of flowers, contributions may be made to Mennonite Disaster Service, 583 Airport Rd., Lititz, PA 17543. We wanted to share our condolences with Helen’s family. It is never easy to have to say goodbye to a loved one. The pain of loss can be unbearable. Our Creator promises us that one day this pain will be just a memory. That beautiful promise can be found at Revelation 21:3, 4. Our pain and suffering will be a thing of the past, and we can cry tears of joy as we welcome back the ones that we love so much. We hope you find comfort in those promises. My Deepeest, Deepest sympathy to you two on the passing of your Mom. Even the word Gracious doesn’t come close to describing her. Her mild mannered demeanor exactly parallels that of Mark. They must have practiced this unique temperament together for months. should I do? The answer– “You sit down and eat a big bowl of Ice Cream”! What a Lady she was! My sympathies to your family in the loss of Helen. I worked with Helen at Willow Valley from 1992 until her retirement. She was loved by the Residents. She seemed to have limitless energy and kindness to share. I really enjoyed working with Helen. Your Mother was a very special and kind lady and I always enjoyed being with her.